Evander Holyfield Net Worth: Evander Holyfield is a retired American professional boxer who has a net worth of $500 thousand. 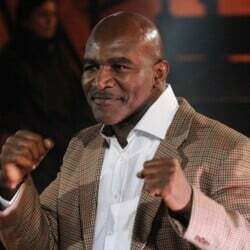 A professional boxer, Evander Holyfield has fought at the Heavyweight, Cruiserweight, and Light-Heavyweight Divisions, and won a Bronze medal a the 1984 Olympic Games. He was also an Undisputed Champion in both the Heavyweight and Cruiserweight Divisions. Born on October 19, 1962, in Atmore, Alabama, Holyfield made a name for himself in the ring fighting at the Heavyweight, Cruiserweight and Light-Heavyweight Divisions. 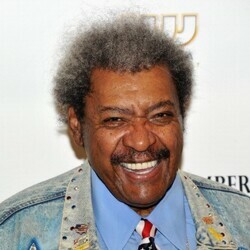 He was only twelve years old when he moved with his family to Atlanta and started to train boxing. Having won the Boys Club boxing tournament, young Holyfield qualified to compete in his first junior Olympic at the age of 13. By the time he turned 15, he already became the Southeastern Regional Champion, winning the regional tournament and the Best Boxer award. After he took home the bronze medal in the Light Heavyweight division at the 1984 Summer Olympics, Evander Holyfield made his debut as a professional at the age of 21. It was in 1985 that he moved up to the cruiserweight division, where he won his first title the following year with his win over Dwight Muhammad Qawi for the WBA Cruiserweight belt. Next, he defeated Ricky Parkey and Carlos De Leon to fetch the Lineal, IBF and WBC titles and eventually become the Undisputed Cruiserweight Champion. In 1988, he achieved his first win as a heavyweight, as he defeated Buster Douglas for the The Ring, Lineal, WBC, WBA and IBF titles in 1990. As for Evander's other victories over notable fighters are those against George Foreman, Larry Holmes, Riddick Bowe, Ray Mercer, Mike Tyson (two times), Michael Moorer, John Ruiz, Michael Dokes and Hasim Rahman. 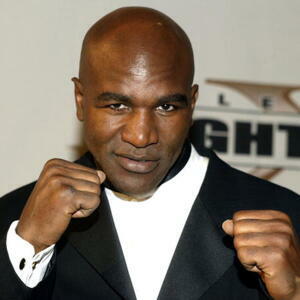 What's more, Evander Holyfield is the only four-time World Heavyweight Champion. He turned out the winner of the WBA, WBC and IBF titles in 1990, the WBA and IBF titles in 1993, as well as WBA titles in 1996 and 2000. He had a futile attempt to win The World Heavyweight Championship for the fifth time on December 20, 2008, but he lost a controversial majority decision to WBA Heavyweight Champion Nicolay Valuev in Sweden. He was 45 at the time. Just like Mike Tyson, Evander Holyfield somehow managed to blow through a fortune that at one time peaked above $200 million. During his career Holyfield earned an estimated $230 million in prize money alone. Unfortunately all that money was gone by 2008 when his 109 room Atlanta mansion was lost to foreclosure. The mansion was 54,000 square feet on 234 acres. 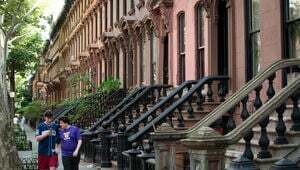 The house cost more than $1 million a year to maintain. After being foreclosed, the house sold at public auction for $7.5 million. Unfortunately, Evander owed a bank more than twice that amount for the house's mortgage. As of January 2013, he also owes several hundred thousand dollars in back taxes to the IRS. Most of Holyfield's prized possessions have been sold at auction over the years to cover a number of debts and obligations, including his Olympic bronze medal, 20 pairs of fight gloves, championship rings, belts and 25 match robes and shorts.